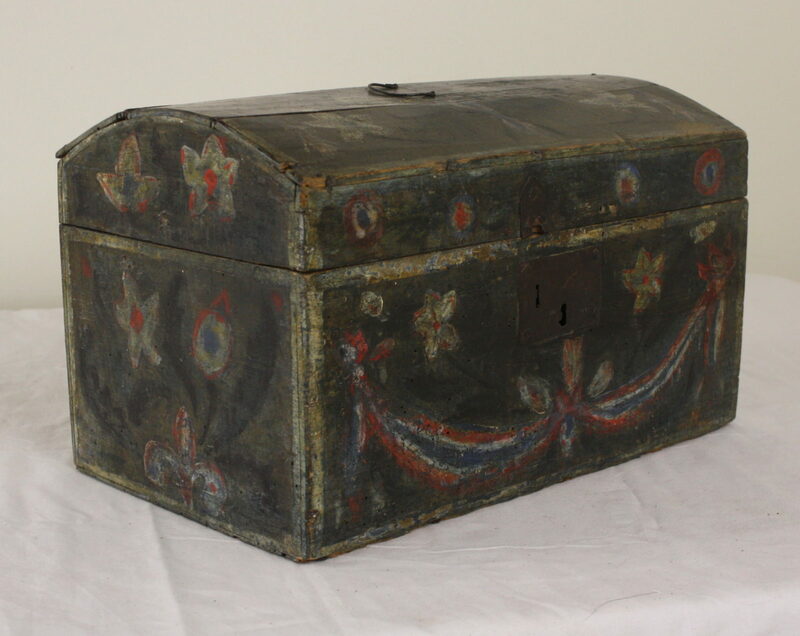 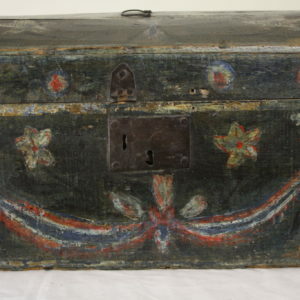 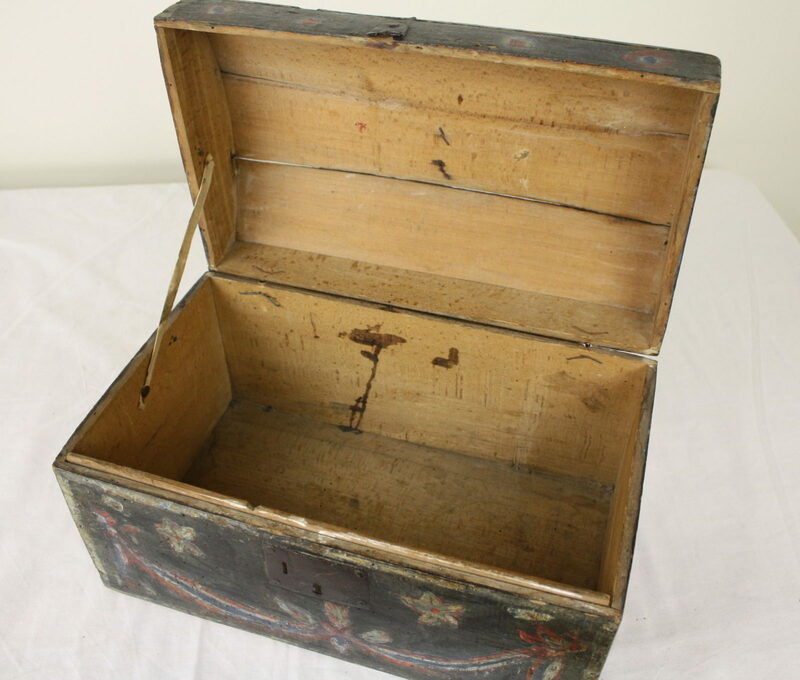 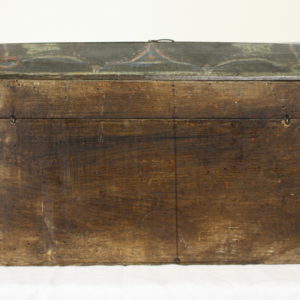 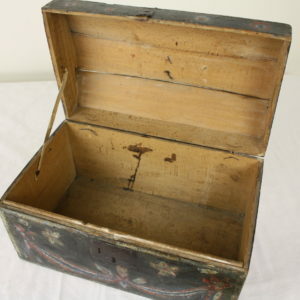 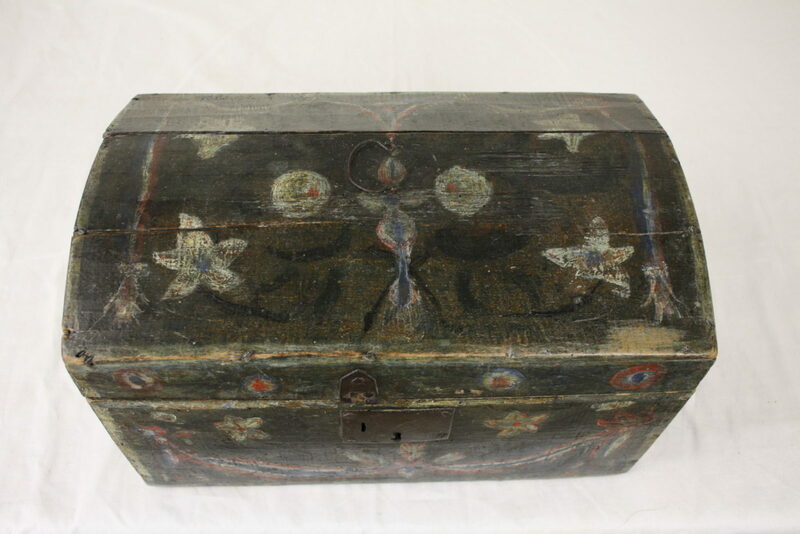 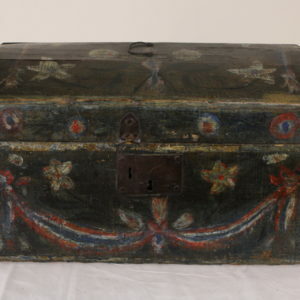 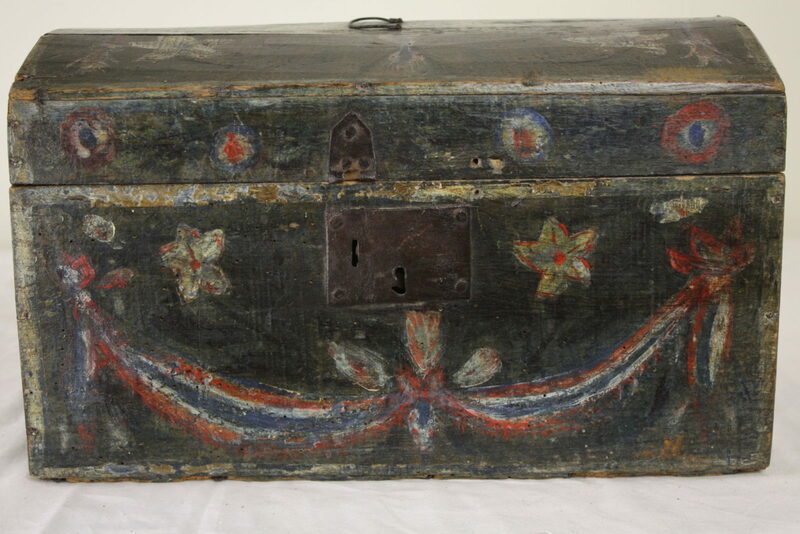 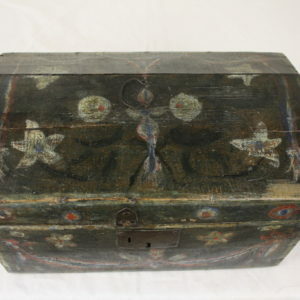 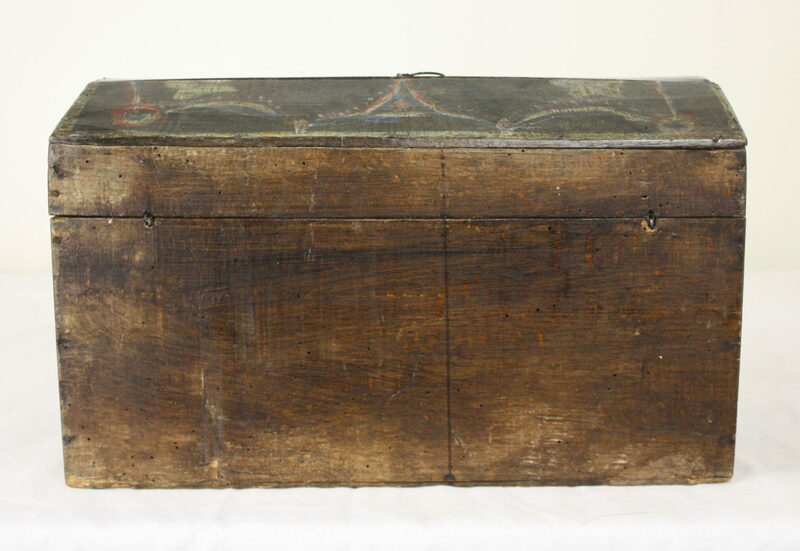 Charming early painted large wedding box, with flowers and ribbons, in beautiful colors, on a dark charcoal-color base paint. 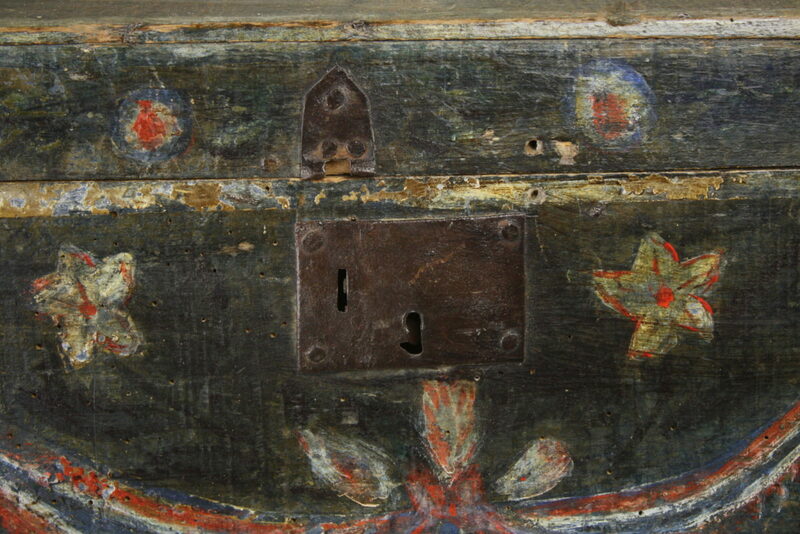 The delightful hand made hinge to hold the lid open, and the little carry handle, are sweet. 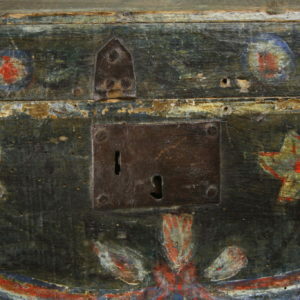 A little part of the lock is missing, as is the key. 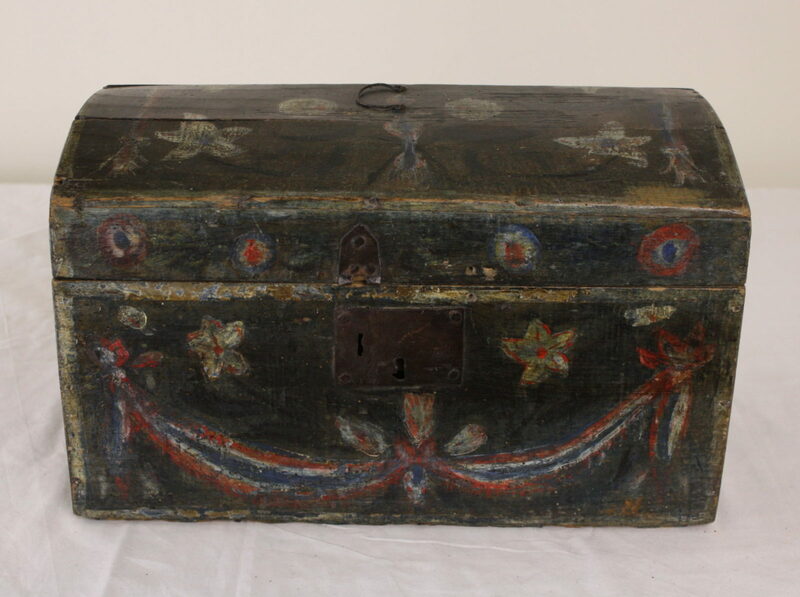 Very early, best estimate dates this at c1750.